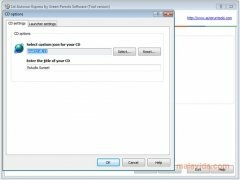 1st Autorun Express is a tool by means of which you will be able to create your own autorun discs in a very quick and simple way, using the comfortable guided assistant that it includes. 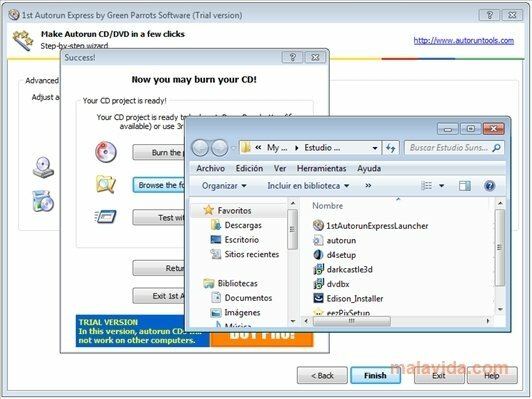 Having a presentation that runs automatically when you insert a disc in the reading drive, managing to launch the installation process of an application or suite without the user having to intervene or showing the contents of a websites in an interactive way by means of menus are some of the reasons that may make you want to use an application like 1st Autorun Express. 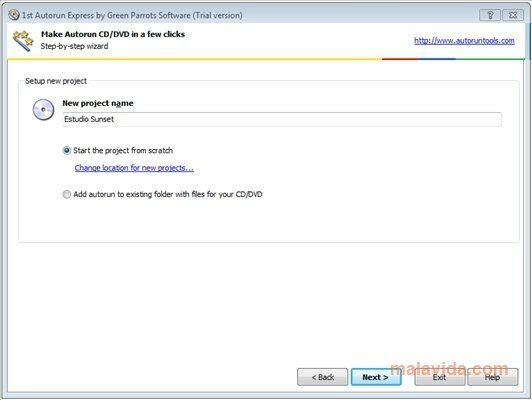 Once you have installed this program, you will only have to follow the steps indicated by the assistant and with just a few clicks of the mouse, and without requiring to have any programing knowledge, you will be able to have a CD or DVD that includes an autorun file. It is possible to launch any kind of file automatically, be it documents, website links, applications, presentations, etc. 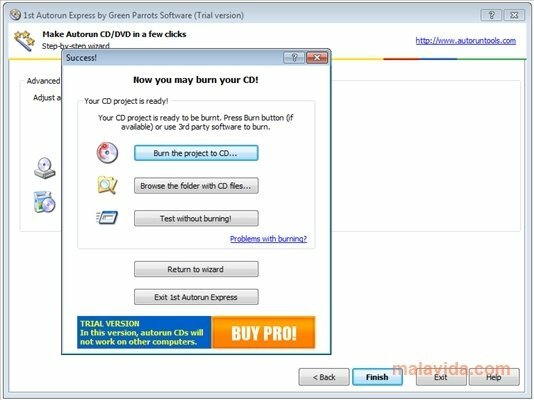 Discover the easiest way to create bootable CDs and DVDs with 1st Autorun Express. 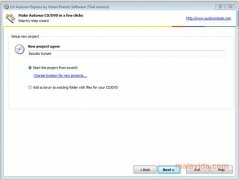 This download is a trial that can be used for 30 days. The discs created with the trial version may not work on all computers.